Ryan O'Reilly's Perfect Passing Night vs WPG - The Point Data-driven hockey storytelling that gets right to the point. 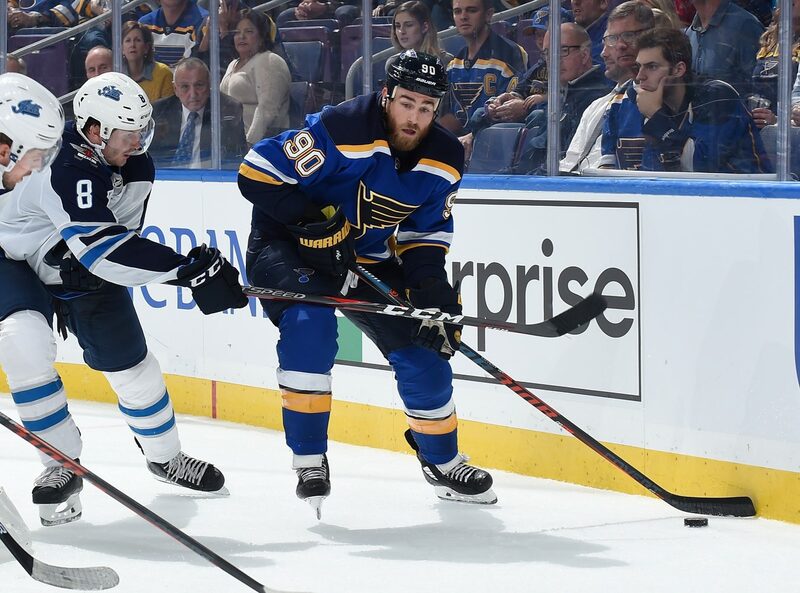 Despite ultimately falling to the Jets in overtime yesterday, Ryan O’Reilly had arguably the greatest display of pinpoint passing the NHL has seen in years. He notched a couple of assists on top of scoring a goal, but this doesn’t really tell the whole story. On the night, O’Reilly attempted 29 offensive zone passes and completed every single one of them. That’s not a typo. 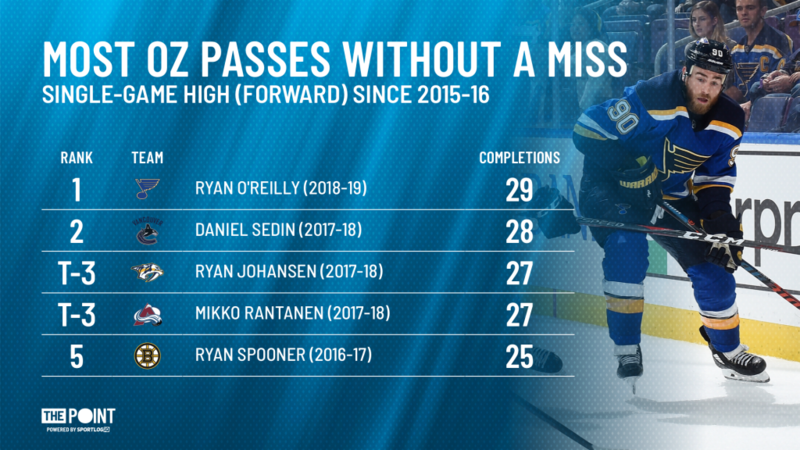 Ryan O’Reilly really completed 29 straight passes in the offensive zone without missing his target a single time. This is actually the most attempts in a single game by a forward who completed 100% of his offensive passes since 2015-16. When people think of Ryan O’Reilly, they often refer to his defensive prowess or his ability in the face-off circle. Don’t get me wrong, that praise is justified, but it overshadows just how great of a passer he is. Just last season, on a bad Buffalo team, he led all forwards in completion percentage on passes to the slot and was second in total offensive zone passes. If he keeps up performances like this, he could add “Best Passer in the NHL” to his resume.